How About Doing One Set To Success? We’re all familiar with the advice of doing a set ‘to failure.’ There’s nothing seriously wrong with that advice. The principle is that if you push yourself until you can’t perform another rep it will ensure you gave 100% effort to the exercise. But achieving 100% effort will always be unprovable. How can you know it was not possible for you to do 1% or 2% more if you had done something different? Better breathing. Better grip. Better concentration. Better form. Maybe your 100% was really 84% of what your were capable of. If you’re overtraining your 100% effort might be 47% of your ability. In fact, we did some testing on different ways to perform sets. 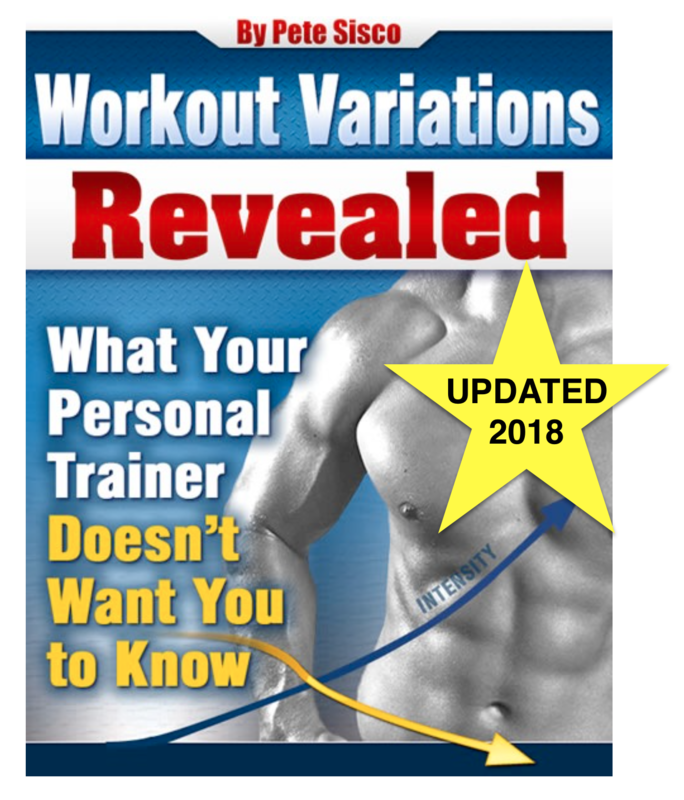 In the free report, Workout Variations Revealed, we show how timed sets with a countdown actually worked better at squeezing maximum intensity out of weightlifting trainees than one set to failure did. The reality is, the objective definition of a productive exercise is that it forced your target muscle(s) to perform at a new peak output. That’s what progressive overload is all about. Progress. There is no point doing regressive overload. Regressive overload will not trigger new muscle growth. Sitting in the dark never triggers a deeper suntan. Lifting below your peak capacity does not trigger new muscle growth. Let’s say the last time you did your bench press you lifted 150 lbs 9 times in 30 seconds. That means you lifted 1,350 total lbs in a half minute, which is a rate of 2,700 lbs per minute. That’s a clear and objective measurement of your intensity. Your ONLY goal on your next bench press workout is to exceed 1,350 lbs in 30 seconds. It doesn’t matter if you go to failure or not. It doesn’t matter if you “feel” strong or not. It doesn’t matter if it leaves you “pumped” or not. It doesn’t matter if you are sore the next day or not. What matters is whether you progress past 1,350 lbs in 30 seconds. Or not. When you make these simple measurements of your performance you can engineer exact goals for your next workout. You know going in to the gym what one set to success will need to be. For every exercise you perform you have an objective goal that you can have complete confidence in. Over time, this is a foolproof way to make progress at the limits of your ability. The numbers don’t lie. 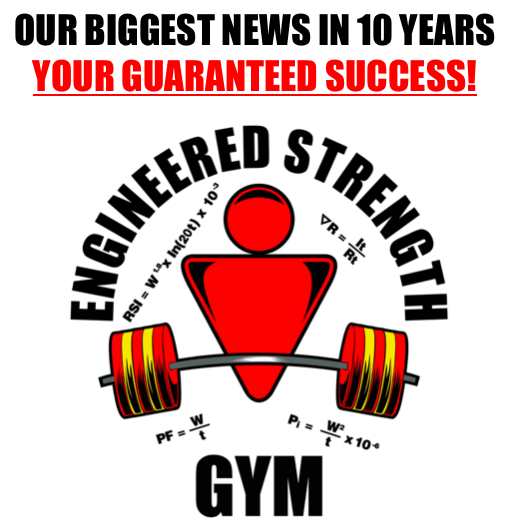 Previous Post Will Exercise and Fitness Consumers Believe Anything? Next Post Have You Ever Seen These Olympic Plates? My only concern about this power factor measurement of “lifted weight in 30 seconds ” is that the concept creates a race mentality. The problem is we can’t really use negative resistance as muscle building of our goal is how many times we can push it up. The negative of every lift is important and by slowing down we rip muscles for growth. 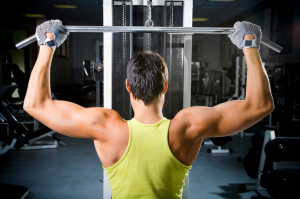 Lifting is putting muscles under load. Obviously the load is there on the push (bench press) but it is also there on the pull if the pull phase is done slowly. This is also better on joints. Think about things we do around the house. Is it easier to push or pull? Most times we can push easier than pull even though the weight doesn’t change. I can pull the weight of a wagon across flat ground. Uphill I might struggle and barely get it. Downhill the weight runs over me and I lose control. To be able to control the weight coming down is also a good indicator of strength. You’re right, Kent. It’s up to the trainee to be consistent from workout to workout. Having the 30 second time limit is part of that consistency. If we just said “12 reps” sometimes a person would do them in 20 seconds with a lighter weight, sometimes in 40 seconds with a heavier weight. Consistency is important in getting meaningful comparisons. if you do a tempo you just maintain same. Glad to see there are more comments on this article. The analogy of jogging vs. sprinting keeps coming to me. I can’t quite articulate it but: I see the reasoning behind “getting the negative”. I think keeping tension is of course important because without it the muscle is resting. I have mixed thoughts about “turning it into a race”. You want the muscles to contract with a high level of effort. You don’t want momentum to do the lifting or put dangerous impact forces on the body from moving or attempting to move to fast. On the other hand if you’re moving slowly to point, aren’t we getting more toward the jogging realm of effort? Kind of a hard thing to articulate. Suppose you pressed 1350 in 30 secs 10 days ago. Do you need another 10 or more day to try again? As we do not knot when we would be totally recovered we must try. The 1350/40 attemp takes another rest period, how much? There isn’t a rule of thumb for everyone that applies to single exercises with two data points. You have to keep track of several workouts and track your personal intensity, volume and recovery then extrapolate to when your next workout should be and what weights/reps you should be able to handle. As we train once a week or less, 1 10 seconds set on 10 exersices. The rest of the spare days we might do cardio, stretching, and so on. Sometimes, we cannot determine the time we are capable to lift more weight. Suposse we rest too much(4 weeks) and our next attemp lifts less than the previous. You stated that pro-athletes train once every 8 weeks. Does an every-10-day-training work for most of us?